There are many reasons why people may want to install cameras in their homes. Some of us may be worried about security issues while others may have children or disabled family members they need to monitor throughout the home. It may just be a way of deterring vandals or watching for a delivery. 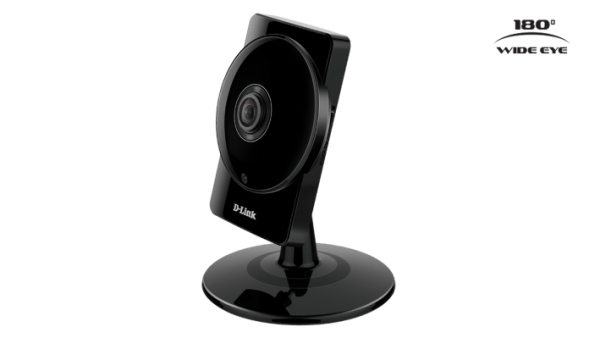 Whatever the reason, they certainly provide peace of mind and when I was given the chance to try out two of D-Link’s products, I was curious to see what benefits they would provide an average family. I tried the D-Link DCS-960L HD and the DCS 936L HD. Both cameras can be positioned in the home to watch a particular room and pair with an app on your phone, which is free to download and available on iOS, Android and the Windows Phone Store. The DCS-936L HD is a Wi-Fi camera with a wide angle lens that can capture an entire room from wall-to-wall in high-quality 720p. The DCS-960L is 180 degree wireless AC wide-eye camera that delivers a horizon-wide view in 720p. Both have built-in night vision and sound detection. 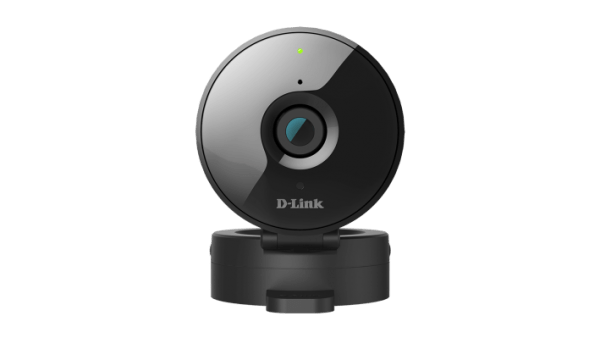 The D-Link DCS-936L HD has a compact design with an integrated microSD card slot that allows users to record videos directly onto the camera. It can be set up to record only when motion or sound is detected and it is powered by the mains socket. 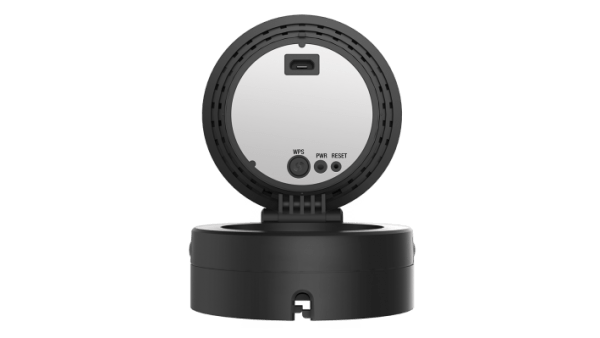 The handy thing about this camera is that you can receive push notifications or emails with snapshots or videos whenever sound or motion is detected. You can set volume limits to detect when a loud sound is picked up by the device. 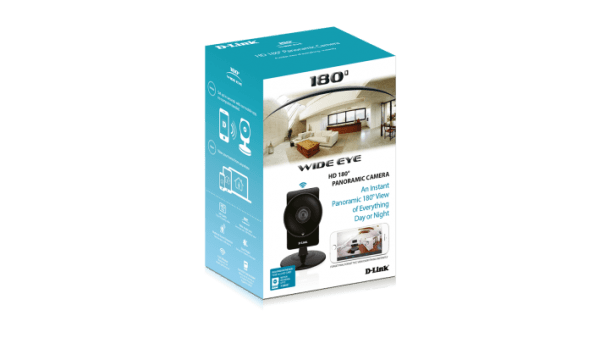 The D-Link DCS-960L HD is the world’s first 180 degree wireless AC wide-eye camera, promising a more authentic view of your room than a standard 180 degree fish-eye lens. It comes with a 16GB microSD card pre-installed. This can also be set to record only when motion is detected for up to seven days at a time. These cameras are small and light and the design is sleek and modern. 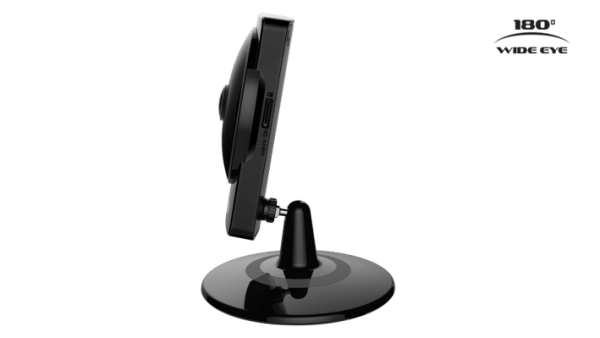 They are larger than the average webcam but not so large that they would take up too much space in the home and feel imposing. They can be mounted on a wall or they can sit on a desk, depending on your preference. 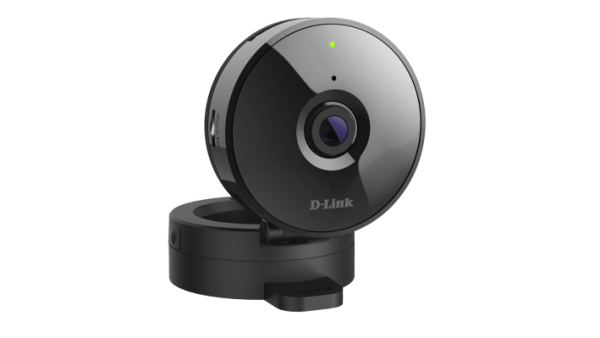 However, the D-Link DCS-960L HD’s design means that the camera can be swivelled around, so after the first few times it has been adjusted, it does require some stability to stay in place. The app is easy to download and does not take up much space on a phone or tablet and the cameras themselves are fairly simple to set up. Successful pairing with the smartphone or tablet should take only a few minutes and QR codes are included on special installation cards for ease. To set up both and familiarise myself with the features took around an hour. 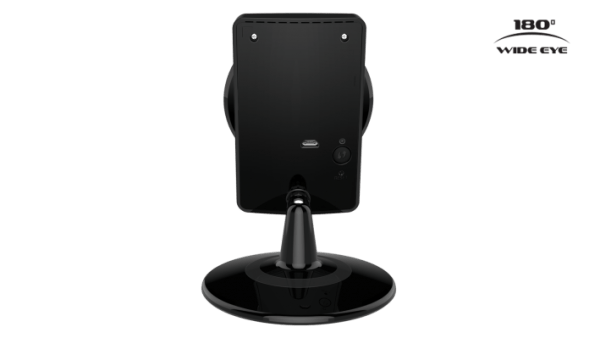 I had a bit of trouble pairing my iPhone with the D-Link DCS-936L HD as it initially couldn’t find the camera but a family member’s Android phone had no issues. There were no problems finding the D-Link DCS-960L. It’s worth noting that a steady, reliable Wi-Fi connection is needed to view the images. For example, I could view the images the camera broadcast from other parts of the house but not in the garden. I could connect to the Wi-Fi in my local supermarket and watch my living room but in the mall, the connection did not allow streaming so it wasn’t possible. This is when the emailed image function comes in handy because it alerts the user to what’s happening without the need to stream. I found the images to be much clearer than I had anticipated with only a split second delay from reality. The night time function was equally impressive. Sound quality was reasonably good and picked up voices and speech within close range of the cameras. Overall, I liked these cameras. I was most impressed with the picture quality and the fact that they picked up any sound at all, but to be able to listen to speech clearly was excellent. I also liked being able to check on my house while I was out. There was a fun, novelty aspect to it at first but as the days passed, I realised that it was able to detect people moving and alert me, so if my house was broken into while I was on holiday, this could potentially allow me to stop any harm being done. I would enthusiastically recommend them and since testing the product, I have purchased one for my home. You can read more about the D-Link products here and in particular the DCS-960L HD (priced at £155.74 on Amazon at time of publication) and the DCS-936L HD (RRP £81.99) which I tested. They are available from many major high-street retailers. You can read our editor’s review of another D-Link camera here.